Archaeologists in the UK have discovered a building near Stonehenge, which is over a thousand years older than the world famous relic. Now environmentalists are worried that a new tunnel road could severely damage the site. The prehistoric construction was built around 6,300 years ago, archeologists say, which would make it at least 1,300 years older than Stonehenge. 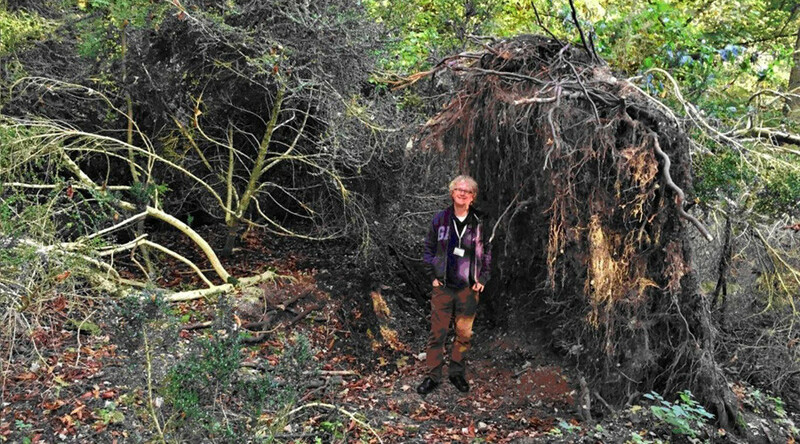 Researchers have called the find an “eco” house because a fallen tree, which was lined with flint, was used for one of its walls. Archeologist David Jacques from the University of Buckingham says that the building constructed by the Mesolithic hunter-gathers was a lot more sophisticated than they are usually given credit for being. “Rather than seeing these people as making do with anything nature happens to throw up, a better way is that, environmentally, they are amazingly well attuned and have a skillful and sophisticated understanding of the landscape. They are adapting themselves around it,” he said. He also mentioned that they placed “large stones” near the building’s wall, which may have been primitive “storage heaters,” which were warmed by a fire and placed close to where people slept, rather than keeping a fire burning all night. The team found evidence that the house was a semi-permanent structure and it was constructed using deep post holes. There was a cobbled path leading to a near-by spring, where they would carry out sacrifices. The researchers believe this site, called Blick Mead, could be key to finding out how people started to live in Britain as they have found evidence of occupancy in a continuous form from 7,600 BC to 4246 BC, which was around the time when Britain became an island. Jacques also mentioned that the importance of this site could have been one of the main reasons why Stonehenge was actually built. “It is the only continuously occupied Mesolithic site in Western Europe and we believe the “eco” home is the sort of place the first Brits lived in. Something at Blick Mead kept attracting generations back to the site, the cradle of Stonehenge,” said Jacques. “Whoever lived in the dwellings may have been the forefathers of those who built Stonehenge, experts believe,” he added. Archeologists have also managed to find thousands of objects in the surrounding area that were used by people in the Stone Age. These include more than 20,000 flint tools, a large sandstone animal skin smoother, a slate arrow head from Cornwall or Wales, pieces of burnt flint and more than 2,400 animal bones. However, archeologists are worried by plans to build a new major road tunnel, which is just 15 meters away from the new discovery. “I am very concerned that any reduction in the groundwater level at the spring site and elsewhere in the Avon valley might potentially be a threat to archaeologically important waterlogged organic artifacts and ancient environmental evidence,” said Jacques. The area around Stonehenge, in the west of England, has provided archeologists with a number of finds over the last few months. In September, they discovered a ritual monument under a mossy earth bank just three kilometers from the ancient site. The arena, thought to have been built during the Neolithic era (post-Mesolithic), would have directly faced the river Avon. Scientists researching the arena found more than 30 stones completely intact, some of which are up to 4.5 meters tall, with fragments of 60 further stones and foundation pits nearby. 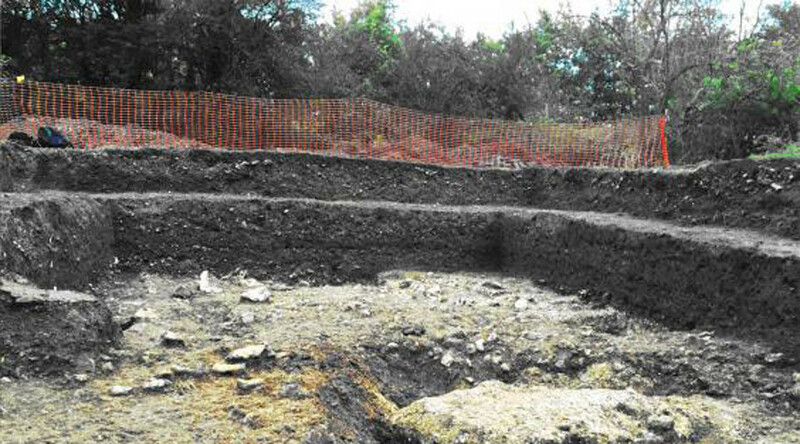 “What we are starting to see is the largest surviving stone monument, preserved underneath a bank, that has ever been discovered in Britain and possibly in Europe,” Bradford University archeologist Vince Gaffney said. “This is a new element of how the Stonehenge landscape was transformed,” he added.